On-demand warehousing is a rising trend in the world of warehousing and inventory that allows for faster, more agile warehousing for certain industries or product lines without the typical confines of a traditional long-term warehouse. While ‘normal’ warehouses tend to involve longer contracts (at 5-year minimums, typically) and have space requirements based upon inventory size and sales forecasts, the world of ecommerce has caused a rapid increase in the use of on-demand warehouse space. As with many changes in the warehousing industry over the past decade, we have online shopping and fast delivery expectations to thank for this. Customers have gotten pretty used to the idea of their orders showing up more quickly than ever, and this has led to warehouses storing a smaller number of goods at a larger number of different, interconnected facilities. 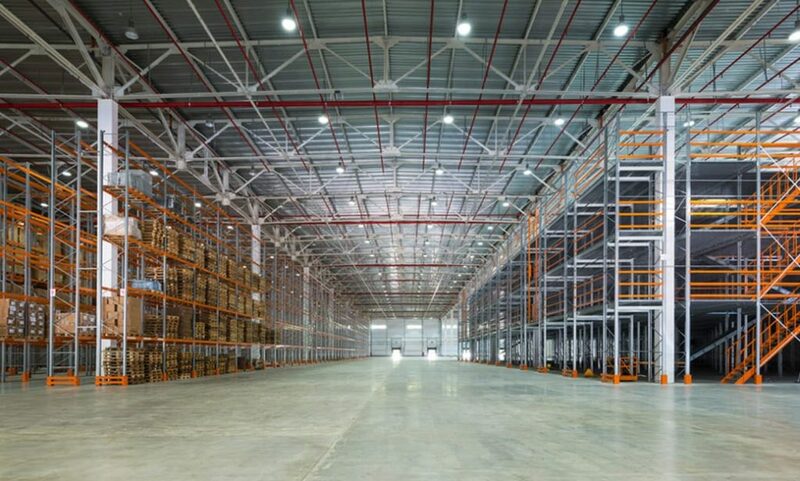 These warehouses are typically leased for short amounts of time as dictated by sales forecasts and the sort of products that are being stored there, and are usually based upon unused portions of other larger warehouses that are being leased out as needed. Designing these warehouses can come with their own unique set of challenges. If you’re considering renting out an unused part of your warehouse to a smaller, hyperlocal operation (a common goal in today’s economic climate) then there’s some design considerations to take into account. These warehouses more often than not deal in perishable goods like grocery delivery, so ensuring you have shelves (like wire shelves or steel shelves) that can manage foods or other perishables safely is crucial, even if you don’t need a full-on cold storage option. Easy access is critical too. The trick with on-demand warehousing is that the orders are going to come in quickly and need to be processed almost immediately in most cases, which means on-demand warehouses are going to need fast access to shipping/receiving areas and loading docks. The loading dock is already one of the most cramped and popular areas of a warehouse as-is, but on-demand warehousing will mean that orders need to be placed on (or taken off) the truck as fast as possible. Make sure to place the on-demand area as close to a bay door as possible for processing purposes. Above and beyond simple physical designs and order processing, however, you need to really understand what your warehouse is doing and why. On-demand warehousing is frequently referred to as the “Uberization” of warehousing due to its similarities to the gig economy—warehouses pop up inside other spaces, serve their role in the supply chain (whether it’s direct to customer or as a closer distribution center for a larger chain), and then vanish as their contracts come up. This can lead to a lot of questions about what role this specific warehouse will fill. For example, is the on-demand warehouse selling a seasonal product that won’t be on the market after a few months? Is the warehouse helping to fight some kind of holiday or seasonal rush by supplying product more quickly to local customers/retailers? Is it serving as a stopgap for a lengthy supply chain to help manage deliveries better? Understanding the specific needs of your lessees will help you to provide the right space to meet those needs, and will help the whole process along more easily. By understanding the roles of on-demand warehouses and helping cater to these needs, you can better meet the needs of the warehouse itself as well as any potential customers, ensuring an easier delivery & warehousing experience for all involved.